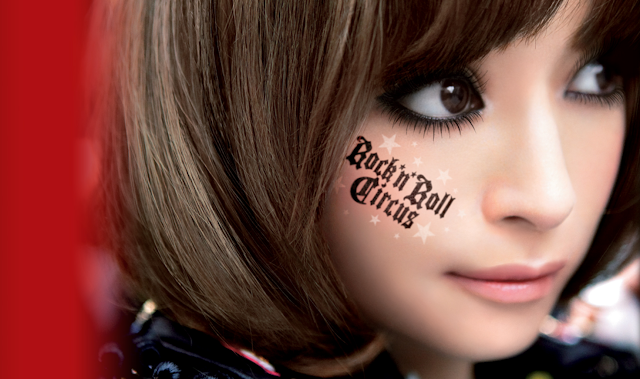 This album seems dark for Ayu, I think she is expressing her struggles that she has gone trough over the years. thanks for the scans and happy bday im really loving Kana Nishiro too she has a really nice voice! who are your favourite japanese singers? 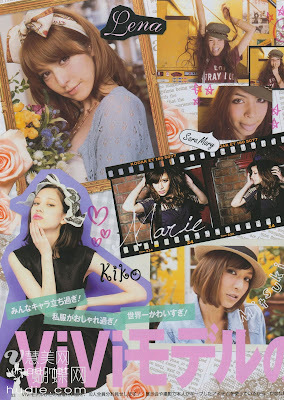 I love ViVi magazine... but it's so hard to find in Hawaii! The best luck I get is the used magazines that's a month of 2 old. It makes me want to buy everything with all the cute stuff they have! 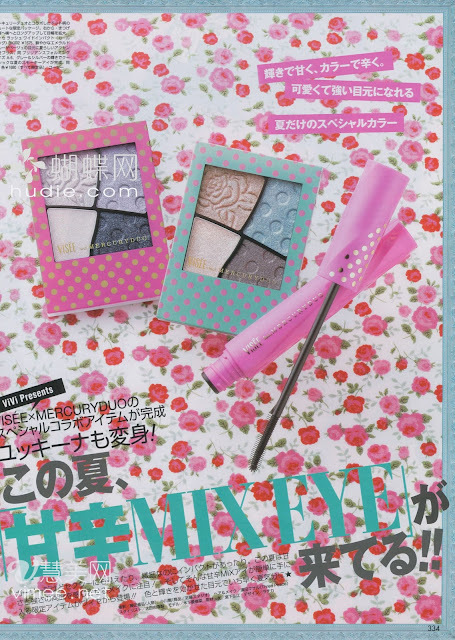 Thanks..I almost bought this mag last weekend....but I couldn't resist the marc jacobs gwp of cancan..hehe..
As always Eki Thank you for the hard work in doing these scans for us! Appreciate it soo much!! It's not quite your bday yet right? Did I miss wishing you a Happy Bday already?! 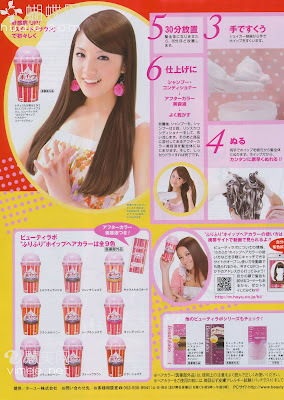 Thanks as always for the scans! 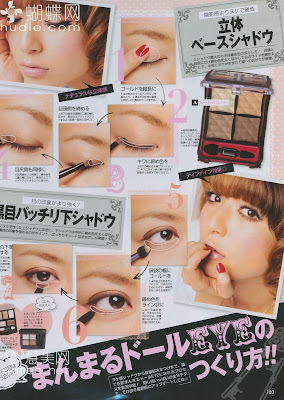 I love Japanese fashion mags, the clothes and makeup are always so fresh and fun! Ayumi looks great on the cover! I prefer this cover more than the one she did in Febuary. She looks lovely with the short hair, it makes me want to get mine cut. wow I love the scans!!! 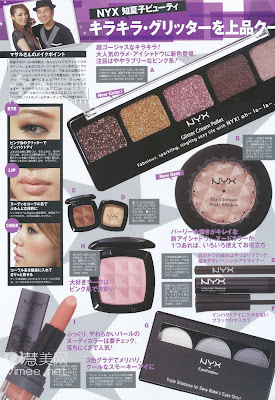 Your taste of the style is great ^^. 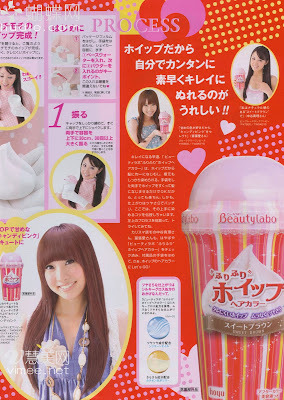 AYumi is always georgous, i wonder how she do to staying such young? I enjoyed looking at the magazine scans. 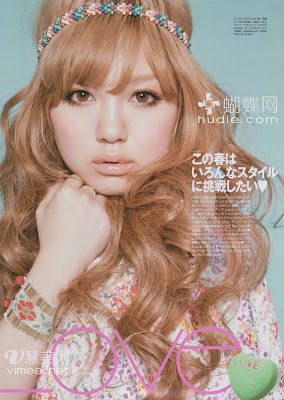 I love Jap magazines but they're freaking expensive here in my hometown. 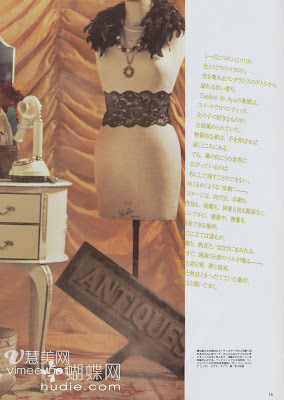 I could read (look rather coz I only know how to read katakana) a jap mag over and over again for all the fashion inspirations and the fashion never ever gets outdated here in Singapore. wow ayumi looks abbbsolutely gorgeous!!! Thank you for always providing us with a fun dose of Japan. 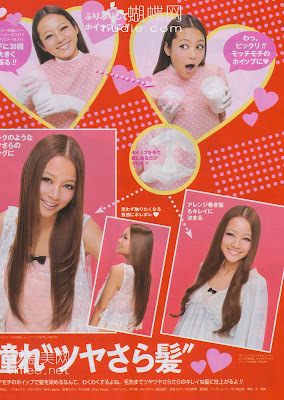 Thanks for the scans Kana is so kawaii I love your look! And HAPPY BDAY :D I hope you spend a beautiful day! 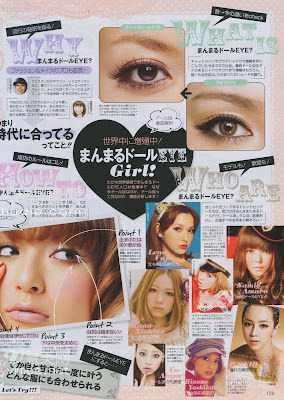 Thanks for the scans love vivi magazine! is there any japanese artists you recommend? 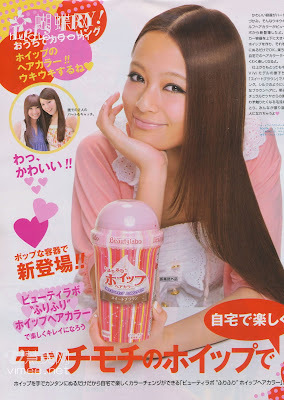 Thanks Eki for the scans! Ayumi looks gorgeous and I love listening to Kana Nishino! sorry for the mishap of the previous comment. i finally figured out that telling a friend who is mesmerized by dance moves to type for you will just mistakes. i feel so emabarrassed for calling you Steph, it was actually my friends fault, but yea. sorry! i think she gets confused easily. btu we hope you do read it. two sweet friends of mine wrote. Hey Eki. Thanks for the magazine. Also happy belated birthday, sorry I was a day late. But I guess it is not too bad to grow up one day late. Haha, anyway happy bday! your words really make us all smile. it's difficult to deal with it everyday, but having love ones surround you is even better. <33 us bloggies of mintylovee. These are incredible images! I love the range of beauty in Asian culture -- full of surprises. Oh man! I totally forgot to wish you a happy bday on your blog too! LOL.